The official Disney talent search for ‘A Wrinkle in Time’ in now underway. Walt Disney Studios Motion Pictures will begin production on the family adventure fantasy feature film “A Wrinkle in Time” this coming Fall, 2016 and the casting team is searching for a young male actor to play a lead role. Disney has scheduled in-person open casting calls for Saturday October 1, 2016 in Cleveland, Sunday October 9, 2016 in Pittsburgh, and Sunday October 9, 2016 in Richmond, VA.
“A Wrinkle in Time” will be directed by Golden Globe Award nominee Ava DuVernay from an adapted screenplay written by Academy Award winner Jennifer Lee, based on the multiple award winning novel of the same name by Madeleine L’Engle. 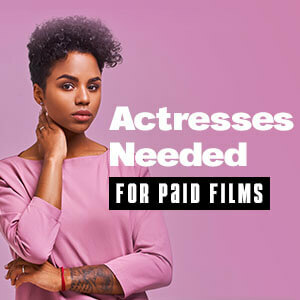 To be considered talent MUST have legal eligibility to work in the entertainment industry in both Atlanta and in Los Angeles, CA where shooting will take place. Peabody Award winner James Whitaker will produce “A Wrinkle in Time” along with Catherine Hand, Cary Granat, and Ed Jones. Douglas C. Merrifield will serve as executive producer. Production companies are Whitaker Entertainment, Reel FX, and Forward Movement. Walt Disney Studios Motion Pictures will handle domestic distribution. “A Wrinkle in Time” is scheduled to be released in theaters in July 28, 2017. CHARLES WALLACE – Male, must be 5-7 yrs old to play 5. Must be mixed-race, such as Caucasian/Black. He is EXTREMELY intelligent and articulate, much older than his years, like a well-read college professor trapped in the body of a 5 year old. Despite his youth, he is a strong, brave soul, delightful, sweet, innocent and loving. Someone we fall in love with. Like Meg, he undergoes a life-changing transformation during their intergalactic journey. LEAD ROLE. To be considered, you must be legally eligible to work on film productions in Los Angeles, California and in the United States. The auditions will be taking place on October 9, 2016 from 12:00pm to 6:00pm. The auditions will be taking place on October 1st from 11:30am to 5:30pm. If you are unable to attend the open casting calls, you can submit a current color headshot (and resume if available), along with your full name, parents/legal guardians full name(s) and contact information including phone number(s), the location where you live, and NAME of the role for which you wish to be considered. Talent Agents are also submitting their actors for these roles. You can find comprehensive listings and submission addresses for talent agents here. However, if you are not signed with an agent and wish to self-submit through postal mail, I highly recommend that your 8×10 color headshot and resume along with the cover letter be sent in a 9 x 12 Clear Full Face Window Envelope with the photo visible in the window.